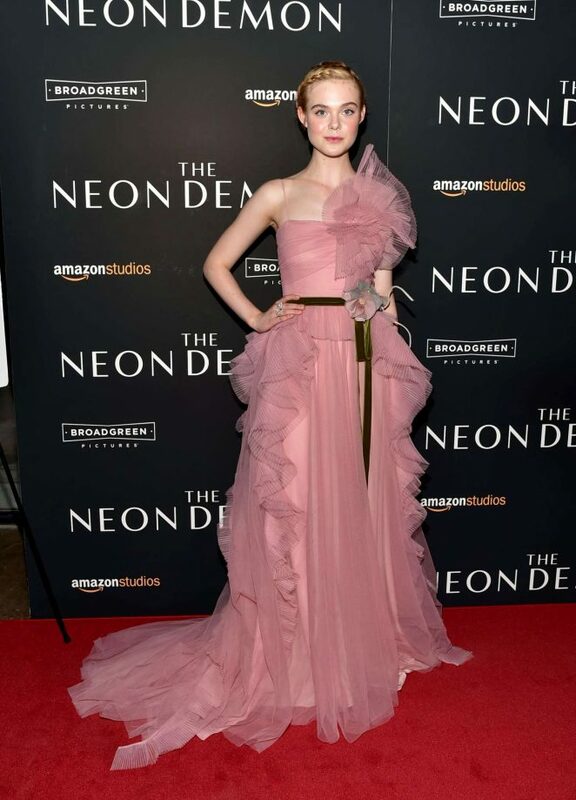 Elle Fanning went for a dramatic ensemble for the New York premiere of her latest movie 'The Neon Demon'. The 18 year old actress arrive in a pink ruffled dress featuring a long train and tulle neckline, and her slim waist was accentuated with a green velvet belt with a large flower. Elle's sheer dress had cascading tulle ruffles, and the star paired her style with a gorgeous braided updo tied with a pink floral clip. A natural makeup look with a soft pink lip topped off Elle's look for the premiere.